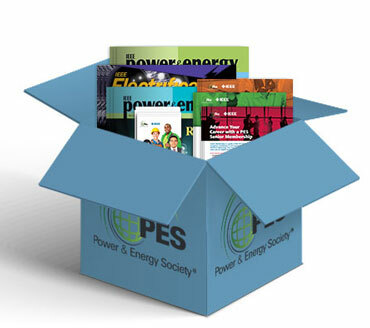 PES Promotional meeting/conference kits are available free of charge to PES members. Please use the Request Form to order these kits. Please fill out the form completely and include your complete mailing address, including country. Our packages options have changed - please read carefully below. Due to the demand of these Promotional Kits we can only provide one per group. These kits are to show samples of PES materials and programs, they are not meant to be used as giveaways for large groups. If you are a PES Volunteer involved with a large conference and different needs than what is described below please contact Shanon Nason at s.nason@ieee.org and your request will be reviewed. PES does not carry logo'd items such as shirts, or hats. 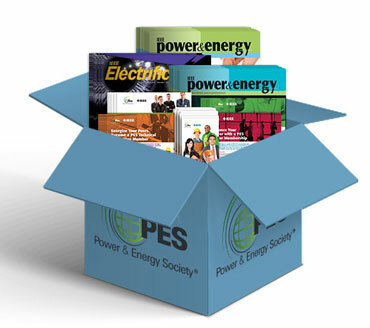 You may purchase merchandise at http://www.zazzle.com/ieee_pes. Shipping Times: Please take the following information into account when requesting materials; for orders inside of the US please allow 7-10 days for delivery. For orders outside the US please allow 10-35 days for delivery. We will try our best to get the packages to you in a timely manner, but shipping times will vary. We send our packages via regular/airmail please allow additional time for international shipments. Custom delays are outside of our control and we cannot track packages. If you'd like more flyers than included in our kits or don't have time to wait for them to ship to you, please feel free to download and print any of these for your PES events.